Red hair and a hand-me-down robe… must be a Weasley. One of my absolute favorite things from Harry Potter is the Weasley clock found in the Burrow! I knew I was going to recreate this beauty at one point, and this week couldn’t be a better time as we’ve celebrated a bunch of our favorite red-heads birthdays recently (Julie Walters/Molly – Feb 22nd, James and Oliver Phelps/Fred and George- Feb 25th, and Ron himself- Mar 1st). Now even though this is the Weasley clock, you could totally substitute pictures of your own family onto it. I daresay, this would make an amazing Mother’s Day present for all the Potterhead moms out here! 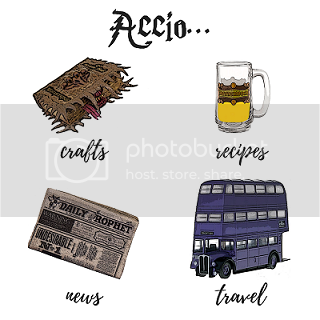 Also we shoot out extra tips and tricks for crafts, as well as Potter news, to our email subscribers so drop your email below if that interests you! What kind of pen did you use? What was the brand and how fine was the tip? I can’t remember the exact brand of pen, but I did use an extra fine tip!